Archestratus's mission in life was to visit as many lands as he could reach in search of good things to eat. 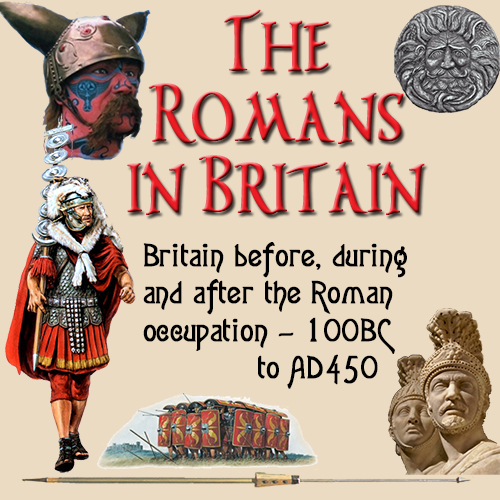 A Sicilian, he ventured all over Greece, southern Italy, Asia Minor and areas around the Black Sea. He tasted his way to paradise and then recorded it in classical Greek hexameters. Not the way one might record recipes these days, but maybe he felt it added a lyrical nuance to his findings, as well as a playful parody of epic poetry. The entire project was recorded in the form of a poem appropriately entitled Hedypatheia or "Life of Luxury." And while only fragments of it remain, there are enough of them for us to get a good idea of the food he ate, what he thought of it and, vitally, how it was cooked. Archestratus's writings on ingredients, dishes and his views on flavor combinations paint a picture of the well-to-do of ancient Greece in around 350 BC. Their tastes were cosmopolitan and they appear to fit the stereotypical image of them taught at school—lying languidly on couches, eating in a reclining position, grapes dangling from their fingers. The poem shows Archestratus to be a man of strong likes and dislikes. He was not a great eater of meat, for instance, its link with religious sacrifice making it less appealing as a dish for feasting, but he loved sea and river food. Of the sixty-two fragments that remain of his poem, forty-eight concern fish. He divided these into two categories: tough fish that needed marinating and the finer type that could be cooked straight away. And his guiding principle in cooking it was simplicity. He believed that the better quality of the raw product, the fewer additional ingredients the cook needed to add. Lavraki is probably one of the best fish in the sea. With tender, buttery flesh it is considered a delicacy in Greece. 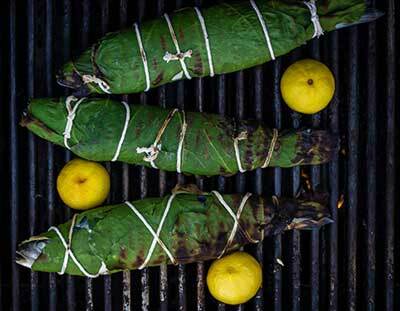 What better way to enjoy such an incredible fish than by wrapping it in fig leafs. If you have ever been near a fig tree than you will have surely experienced the sweet aroma emanating from its bark and leaves. It is a smell that envelops your senses with the musk of the Mediterranean, a fragrance that is unforgettable. 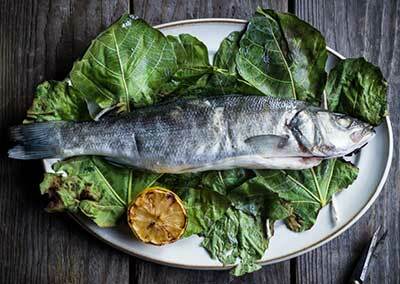 When you wrap the fish in fig leaves and then grill it, the essence of the fig leaves infuse the flesh of the fish in a perfectly delicate way, while the fig leaves also keep the fish from sticking to the grill. Translation: “The best fish you can find..sprinkle with marjoram. Wrap the fish in fig leaves and bake. Have the slaves serve it on silver platters.” You could not possibly spoil it even if you wanted to... Wrap it [the fish] in fig leaves with a little marjoram. No cheese, no nonsense! Just place it gently in fig leaves and tie them up with a string, then put it under hot ashes. *Note: I found this version on a cool website... I thought their interpretation better for this recipe.